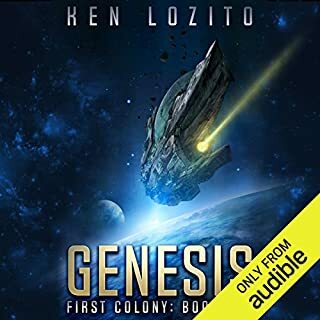 A powerful world government has scientists transported from an overpopulated earth to a satellite on the eve of their discovery of a method to modify the human embryo. Island One is a celestial utopia, and David Adams is its most perfect creation - a man with a brain as advanced as any computer and a body free of human frailties. But David is a prisoner - a captive of the colony that created him - destined to spend the days of his life in an island-sized cylinder that circles a doomed and desperate home planet. Thousands of miles below him, a world trembles; its people cringe in terror and despair in anticipation of an impending apocalypse. And fate has cast one extraordinary human in the role of savior. Visionary space industrialist Dan Randolph is dead, but his protege, pilot Pancho Barnes, now sits on the board of his conglomerate. She has her work cut out for her, for Randolph's rival, Martin Humphries, still wants to control Astro and still wants to drive independent asteroid miners like Lars Fuchs out of business. Humphries wants revenge against Pancho, and, most of all, he wants his old flame, Amanda, who has become Lars Fuchs's wife. Before it ends, many will die, and many will achieve more than they ever dreamed was possible. It rocks! 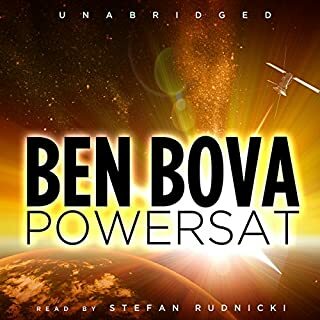 Don't miss any of the action in Ben Bova's Asteroid Wars series, including the first book, The Precipice, the third, The Silent War, and the fourth, The Aftermath. 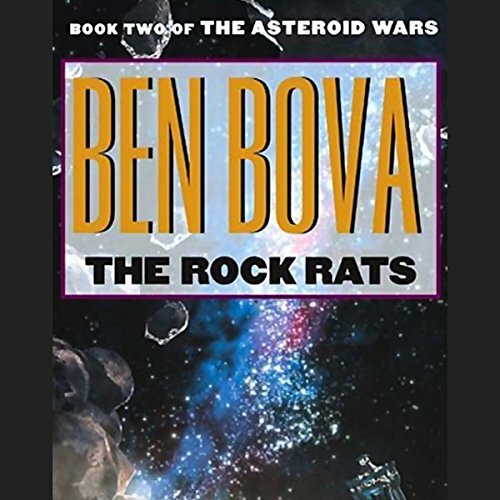 Where book one of this series (The Precipice)is a fairly entertaining space opera, The Rock Rats get uncomfortably close to soap opera. I generally prefer hard science fiction where the technology is a logical or at least a plausible extrapolation of current knowledge. 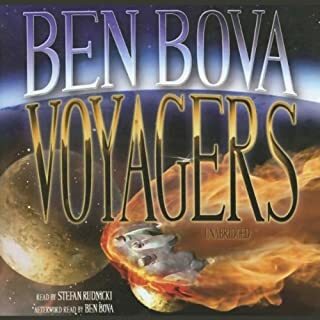 On this, Ben Bova generally succeeds, but instead of allowing the science to create most of the dramatic tension, the author relies on the hormonal response of the supposedly hard-headed businessman Humphries to fuel the conflict. Pretty silly really. There are lots of interesting and unique problems that would be faced by anyone attempting to open up a new frontier such as the asteroid belt. A great example is the rudimentary beginnings of space battle techniques and tactics briefly touched on by the author. Instead, too much of the book is "powerful man wants beautiful woman and is willing to do anything to get her". You don't need science fiction for that theme. Even so, the book isn't terrible - merely average and a disappointment compared to the first book in the series. Still worth reading though just to see how things turn out. I do hope there is more about Pancho Barnes in the third book. She was a far more interesting character. One additional note: the voice talent is a bit disappointing as well. At least part of the appeal of book one was the fact that 80-90% of the book was read by Scott Brick and Amanda Karr - both absolutely superb. But even the first book had some short segments with different readers so noticeably inferior that is was disconcerting. Here the female reader(s)is again outstanding. I can't even tell if there is more than one reader or if Amanda Karr is just so good that she can sound like several different people. Unfortunately, the men (except for Stefan Rudnicki) suffer by comparison. Barely average. I could get used to them, but every time the narration switches back to a female, you get reminded of the mediocrity of most of the male readers. 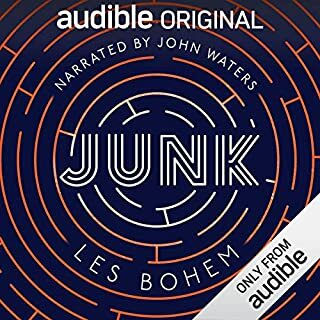 I enjoyed this latest audiobook in my collection. I have enjoyed all of Bova's creations. He takes you on a grand tour of the solar system with his books. Go ahead and take the tour, you will be gald you did!! 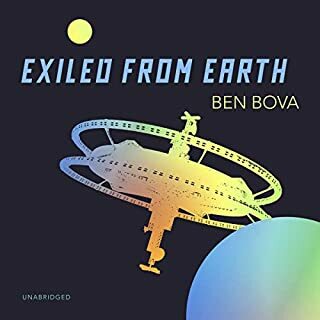 A bit slower than the first book in the series, and not as good as the third, but Bova seems to be drawing a breath, and taking a bit of time to let Poncho, the other characters, and the environment, "mature" a bit before going on. You see why he needed to do this as you get into the next book. I DID think there seemed to be a book missing between this book and the next (The Silent War), but it's not TOO big of a gap. A fun, entertaining SF story. I really HATE this pseudo play in many voices format. if you are going to do that, then give each player a character and have them stick with it..... don't do this whole thing where one player does all the characters in the section they read. yuck!!!!!! Another Sci-fi mixed with political intrigue. Don't want to give away the ending, but all the bad guys prospered and the good guys stayed neutral and (mostly) alive. C'mon! Oh, now I get it. There's a sequel. Having listened to almost a number of the Bova books and read the hardcopies, this is the worst narration of them all. They changed Amanda's voice and totally misrepresented her character. She is a whinny little girl now. Not the self made strong woman in the book. 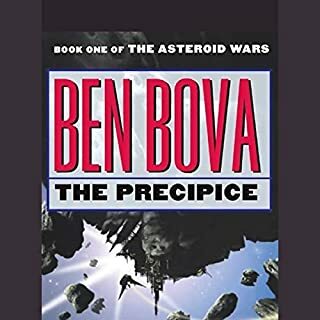 I recently heard my first Ben Bova book, The Precipice (Asteroid Wars, Book 1) and was very impressed. I downloaded ,Book 2&3(Rock Rats and Silent War)right away,hoping for more of the same. Character development of Fuchs & Amanda went 180 degrees from book 1, and not for the better. Pancho who was the most interesting from book 1, was barely a supporting character.Fuchs' monotone ranting and Humphrey's deviate behaviour were annoying at best. Lots of descriptive repetition here. The entire trilogy could have been done in one complete book. Would have made the unrealistic plot lines more bearable.I liked the concept of commercializing the space,descriptions of the various technology, creation of new governments, etc., but the character development was very amateur. Sorry Mr. Bova, but my space travel with you ends here.